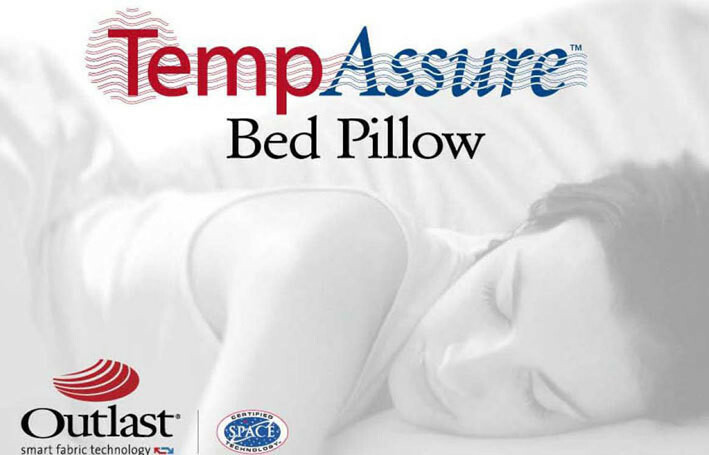 Temp Assure Pillow with Outlast temperature regulating pillow. TempAssure incorporates Outlast Smart Fabric Technology that responds to changes in temperature. 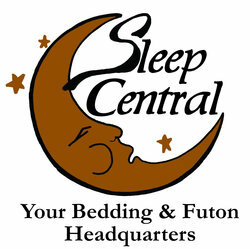 Reduces overheating by balancing temperature swings through the night and is uniquely engineered to help cope with night sweats and hot flashes. The TempAssure Pillow & Pillow Protector is an excellent choice for variable climates. This comfy pillow features Outlast Smart Fabric technology that absorbs heat and redistributes it if necessary, keeping a constant comfortable temperature all night long. Polyester MicroGel fiberfill pads the piece, with a 100% cotton cover that's both machine washable and stain-resistant. All materials used are hypoallergenic. Standard/queen (28" x 20 x 6.5") 1-year mfg. warranty. Made in USA.